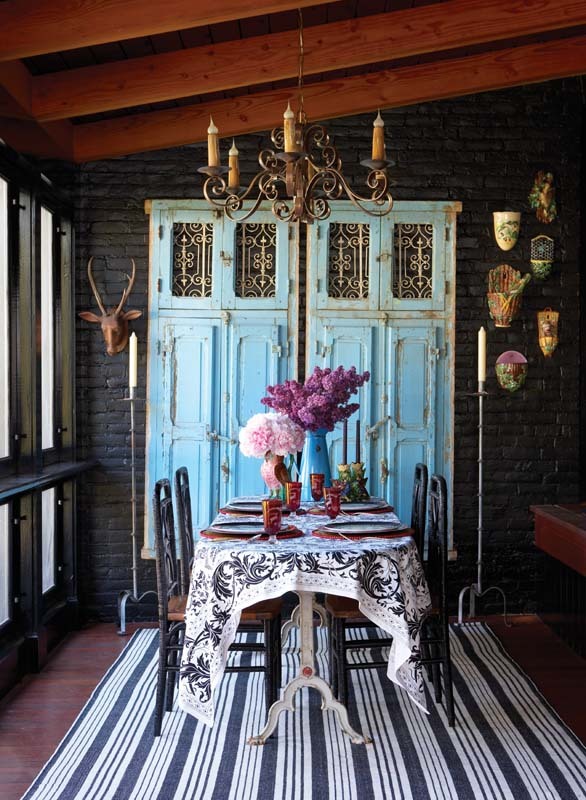 Wendy Valliere, an interior designer, bedecks her Stowe, Vermont 1842 farmhouse in bold colors, eclectic tribal trappings and blue, Parisian antique doors! Via. 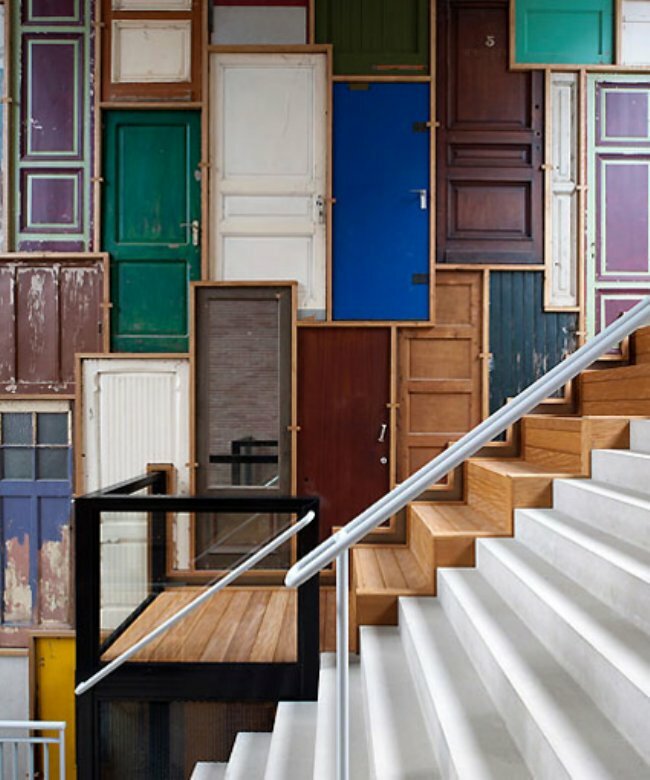 Two above, commissions for an Amsterdam residential project by Piet Hein Eek. NLD, The Netherlands, Amsterdam, apartment building De Borneohof, architecture of the refurbishment by Peter Gesebroek, installation by Piet Hein Eek. Staircase photography by (c) Thomas Mayer, for further images, click here. 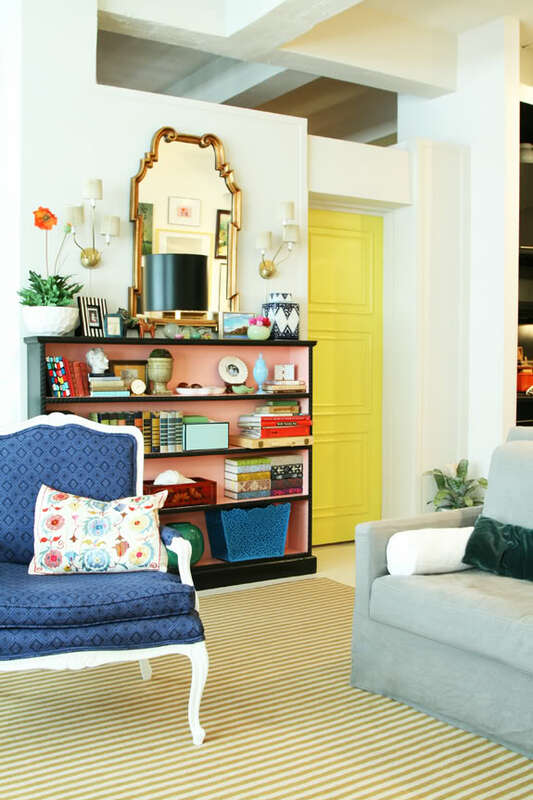 A space in Brooklyn, NY that feels like an urban yet suburban retreat. 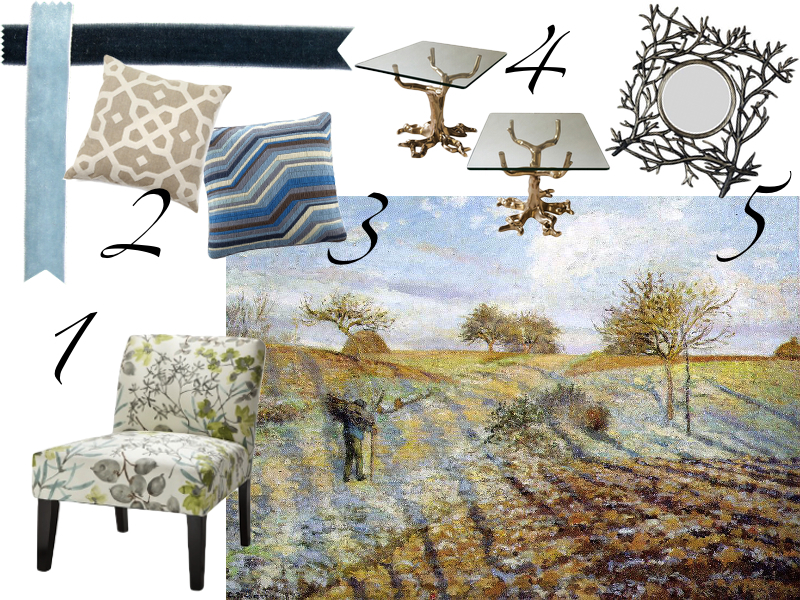 The neutral earth tones and whitewashed color palettes are calming! 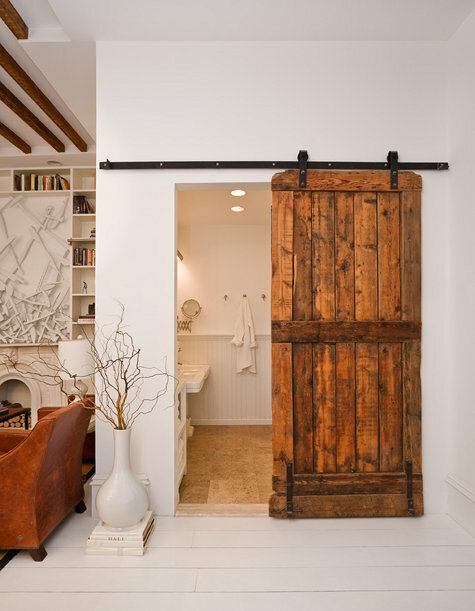 Owners Fitzhugh and Lyndsay of The Brooklyn Home Company searched ebay for weeks for a barn door to lead into the bathroom, and ended up finding one in the sheep run of Fitzhugh’s family’s farm in NH. Isn’t that how it always goes? The thing you are searching for was under your nose all along! 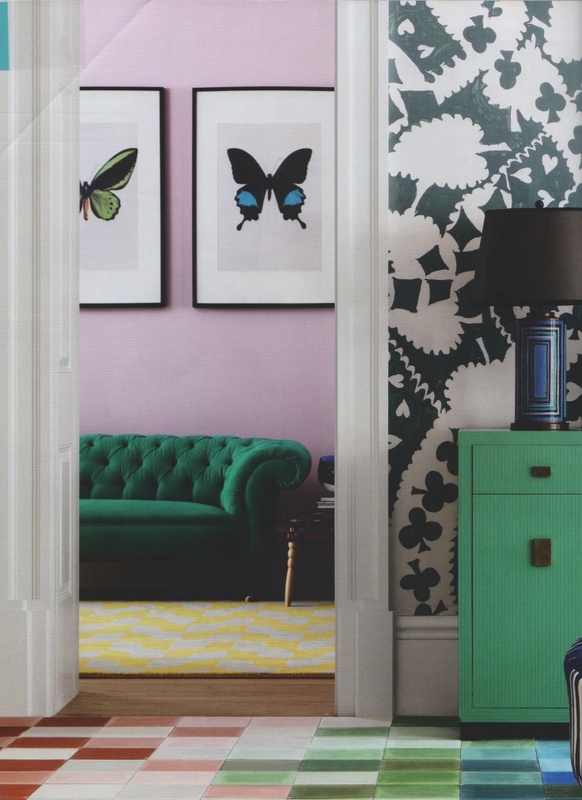 Image via Design*Sponge and photography by Emily Gilbert. 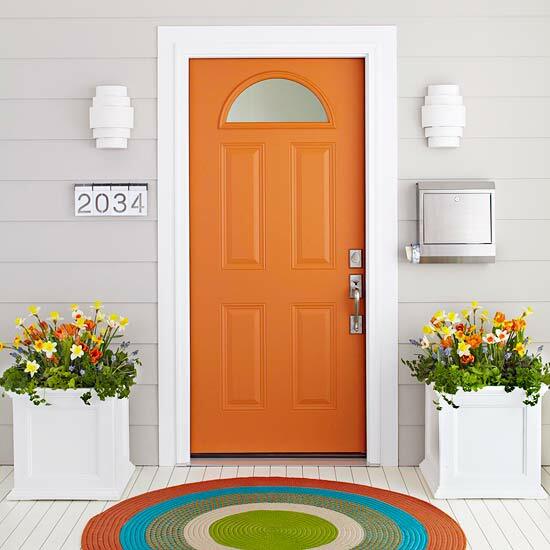 This symmetrical and sherbet colored doorway is made of sunshine, cheerfulness and laughter. 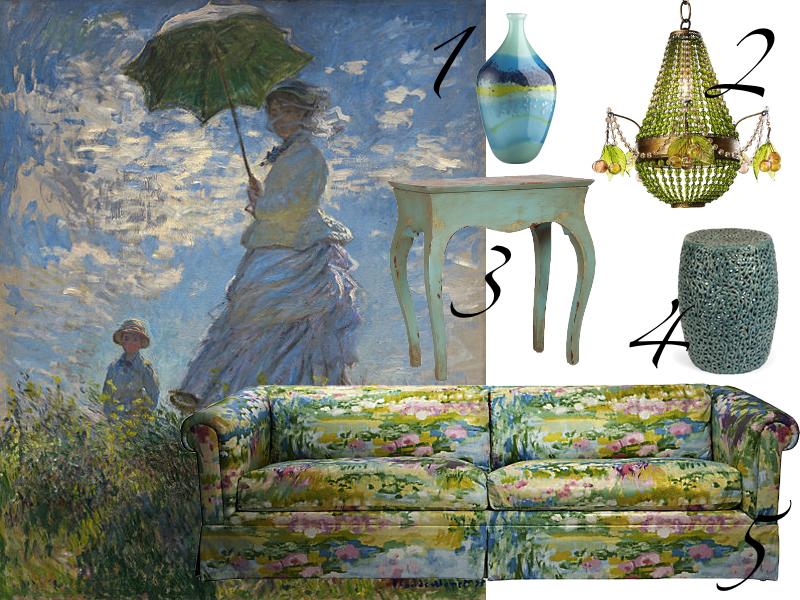 Seriously, could you be depressed with this as your welcoming color scheme? 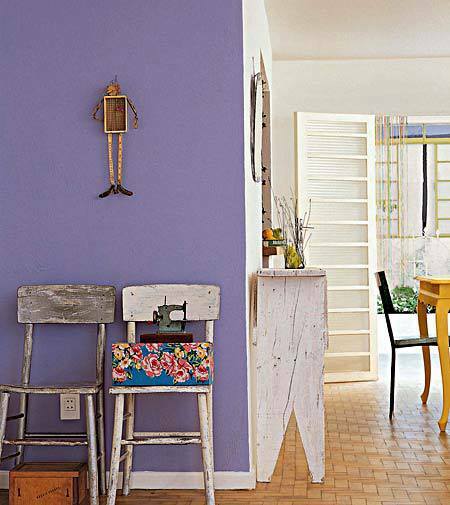 Image via Better Homes & Gardens. A queen-size bed frame can easily set you back $2,000. This one cost about $25. 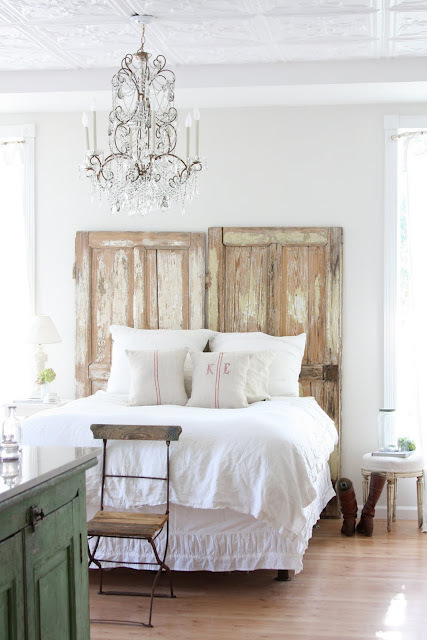 More about this salvaged door DIY headboard via Country Living. 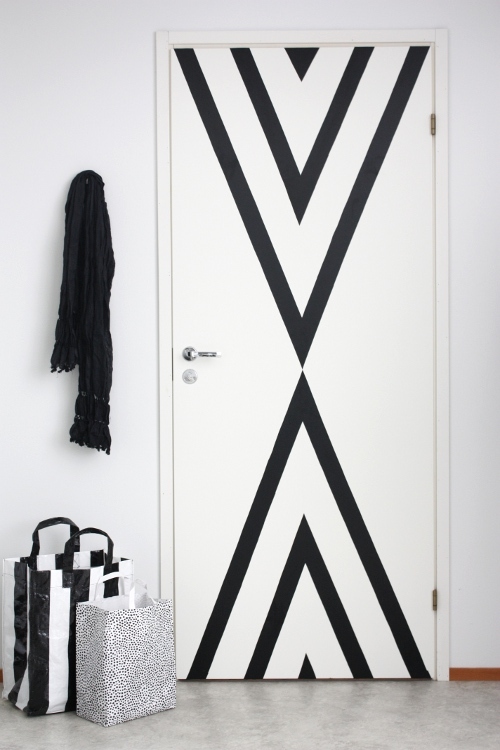 A little bit of mod podge and vintage wallpaper make this door decoupage a breeze! 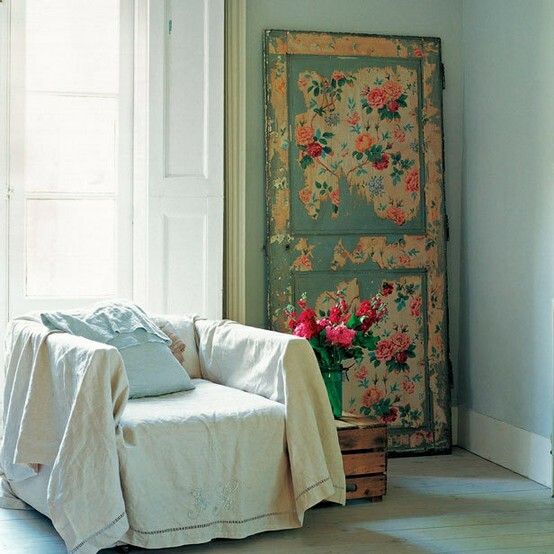 This English countryside decor is a little bit grandma and a little bit Elizabeth Bennet, but a lot of bit comfortable and quaint. Image found here, cannot find the original source. 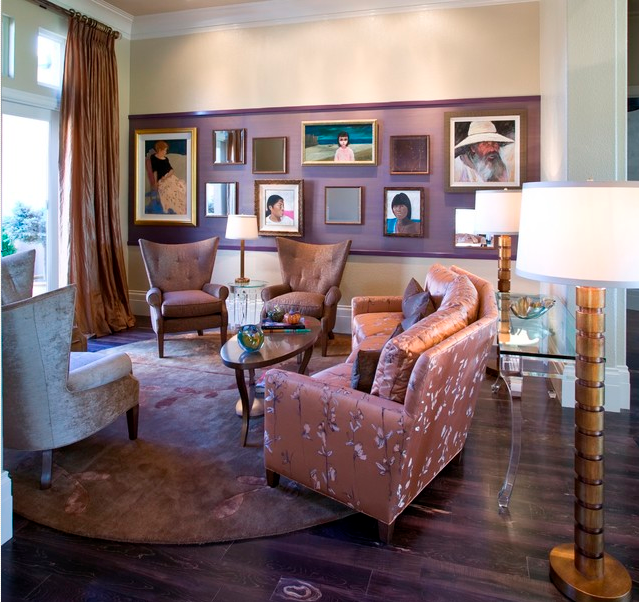 The glamour of a grand palace ballroom meets the comfort and “Norman Rockwell familial vibe” of a farmhouse. Via. Clean, sharp, linear and modern. Image via likainen parketti, found by Camille Styles. 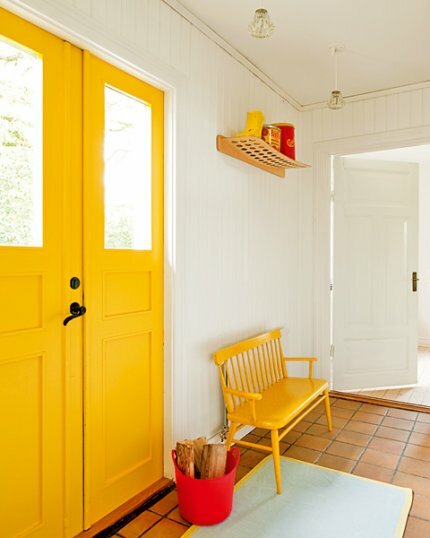 Hello Ketchup and Mustard colored foyer, via Marie Claire Maison! 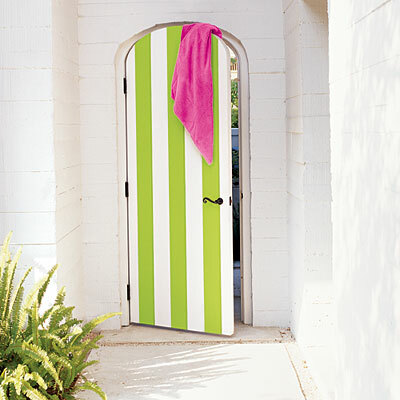 Did Alice open this lime striped door in the rabbit hole to Wonderland? Via Coastal Living. 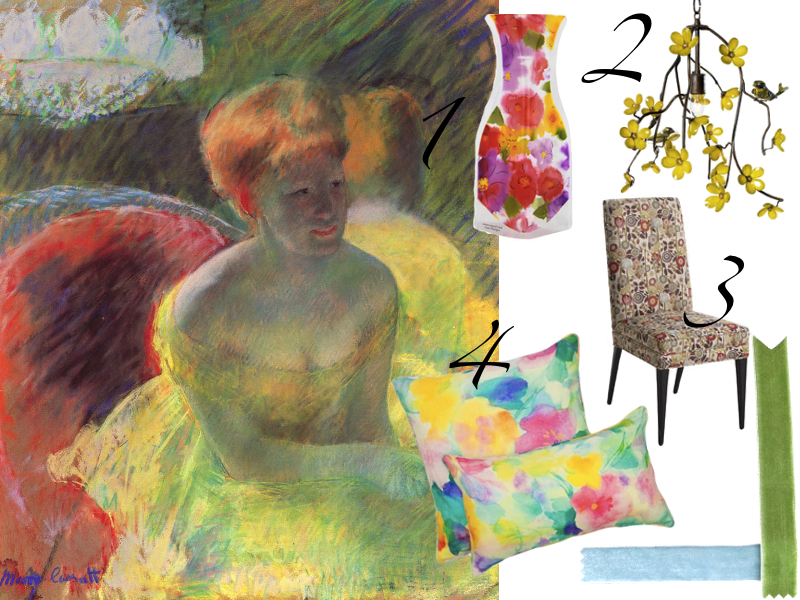 Jenny from Little Green Notebook mixes flea market finds, and oriental inspired patterns and shapes, with new purchases! 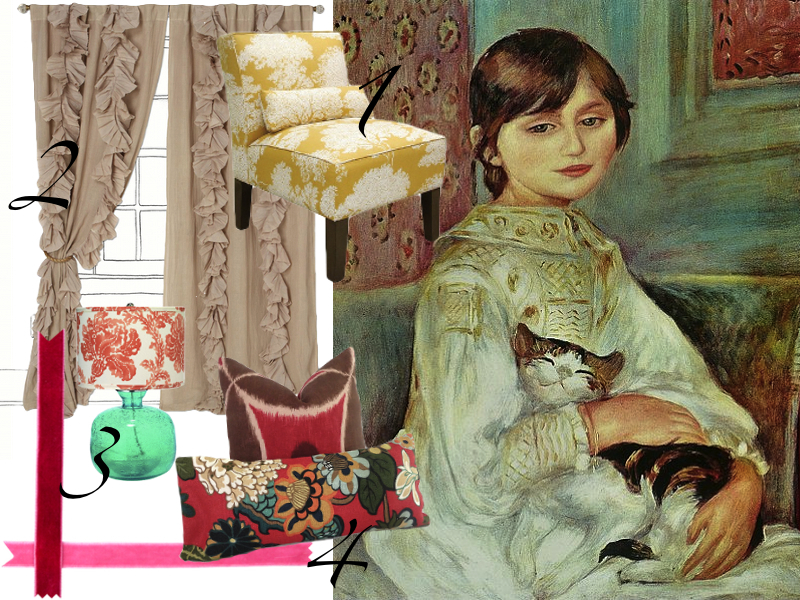 Her home is a theme park for the eyes with all lines leading to the lemon drop colored door! Via. Domino Magazine, March 2009. 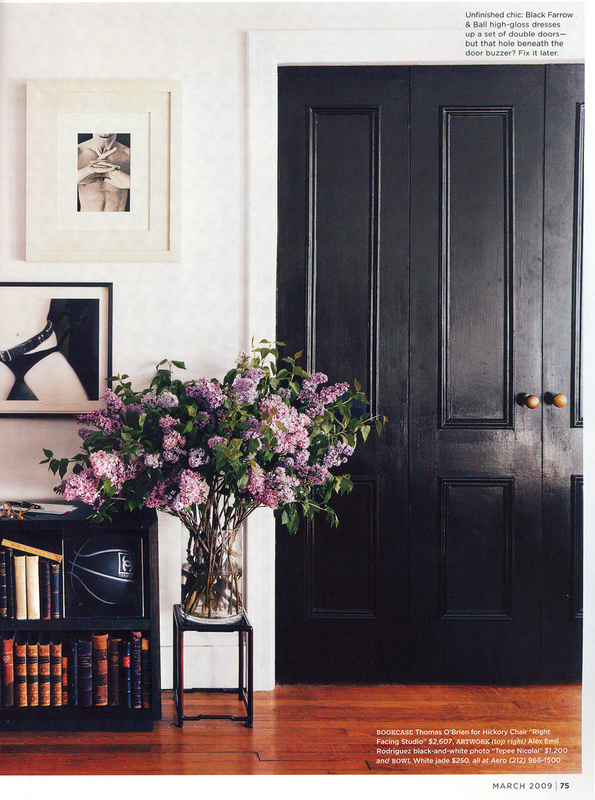 High Gloss Black doors add some gothic glamour! Via. 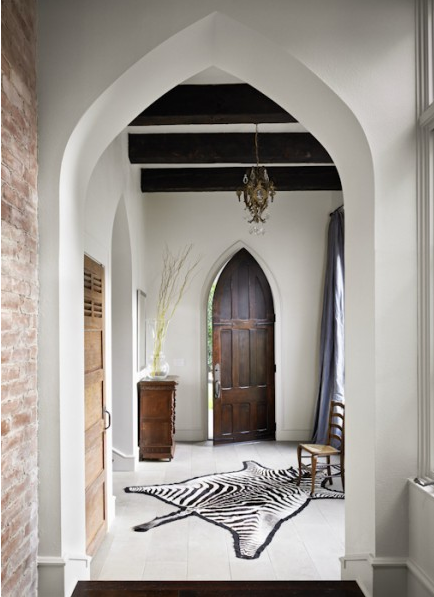 The use of salvaged brick and antique doors give this entry foyer a unique feel that is not easily labeled. 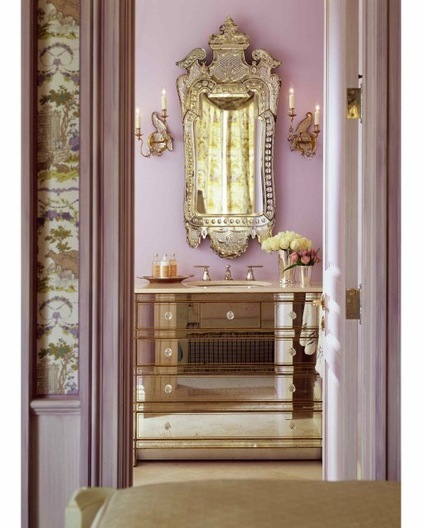 The interior designers of the Stamford house were asked to straddles the worlds of both traditional and modern design. Style title: Ektachrome. Image via Hugh Jefferson Randolph Architects. 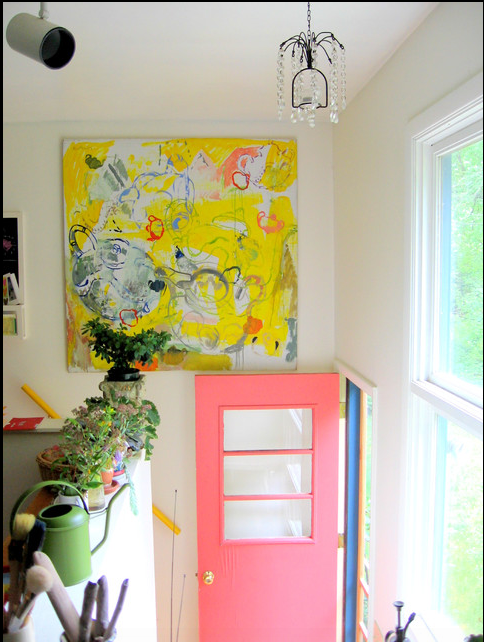 Home of Tamar Schechner of Nest Decorating featuring a painting by Nora Frenkel.